Oh boy! Adam Chanler-Berat takes a moment to collect his thoughts before embarking on the adventure of a lifetime as Boy in Peter and the Starcatcher. 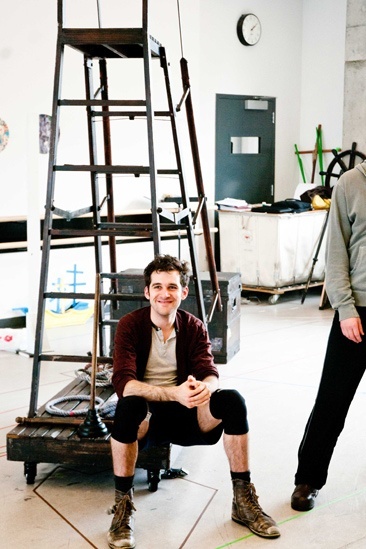 Broadway.com photographer Jenny Anderson joined the cast of Peter and the Starcatcher in rehearsal at Ballet Hispanico.